When is too much of a good thing, too much? I love going out to the theatre, but there is nothing more I love than hearing that what I am seeing is ninety minutes straight through. The fun of going out, the magic of theatre, brilliant performances, terrific writing... All in an hour and a half. I was thinking about this during the week when at The Maids at Trafalgar Studios I misread the play length. I thought it was one hour fifteen but it actually was one hour fifty. "Do make sure you go to the bathroom beforehand," I thought I heard the usher say in a motherly voice. I'm sure they didn't say that but that is what I heard. The Maids is a stylish new translation where two maids plot macabre ways of killing their mistress. It is a new translation of the Jean Genet play by Benedict Andrews and playwright Andrew Upton. It was first staged by Sydney Theatre Company in 2013. In this production Uzo Aduba (from Netflix’s Orange Is the New Black) and Zawe Ashton (Fresh Meat) plot the downfall of Laura Carmichael (Lady Edith Downton Abbey). It is a bit of a star fest (particularly for fans of any of these television shows). The choice of casting firmly puts economic servitude at the front of your mind. In the era of the gig-economy it also seems topical. The fourteen hour workdays seem closer than ever to the real life story that the piece took inspiration from. But that is not all the piece has to say. The performances are incredible for their unrelenting intensity and depravity. And throughout its twists and turns you feel the pain under the lightly padded seating of Trafalgar Studios. This makes the climax of the piece less engaging as one tries favouring one strained buttock over the other. It isn't the seating at fault. There just becomes a limit to how long you can be sitting down trying to keep still wherever you may be. If they choose to insert an interval it would be hard to see where it would fit best. An interval would interrupt the flow of the piece. The tension that builds would be lost. 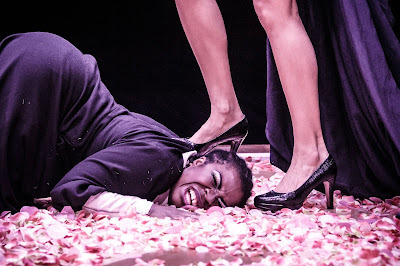 Audience members aghast at the incessant use of the C-bomb and having flower petals swept up in their faces, may have taken the opportunity to leave. Perhaps a better solution would be to trim some of the earlier scenes. There is an argument that the ninety minute play is the best length for audiences weaned on one hour television dramas. Maybe so, but there is also some basic logistics at work. If you need to commute and it is a school (work) night, it makes sense to get home at a reasonable hour. And a play that finishes around 9pm will let you do that. Sometimes it is just not possible to stick to a shorter timescale when the subject demands for it. 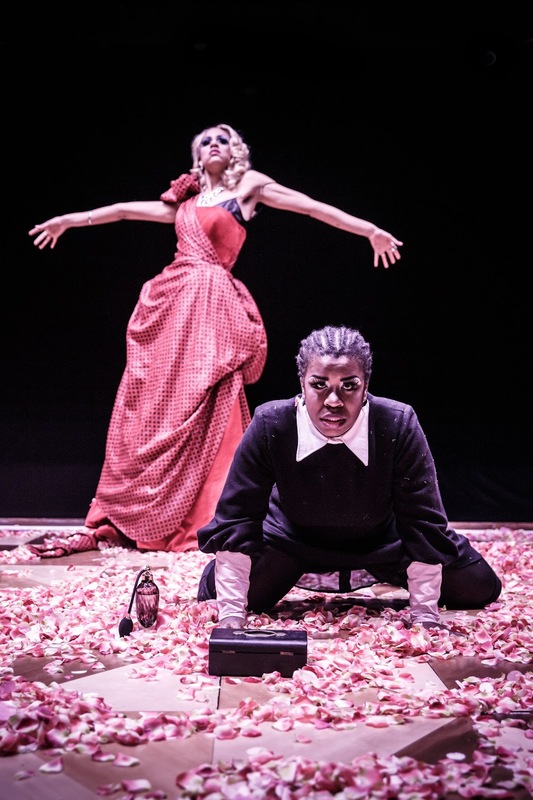 The current revival of My Mother Said I Never Should at the St James Theatre shows that when the subject matter is epic and the casting is right, you could stay all night to watch it. Even the better West End musicals add in unnecessary numbers and endless exposition. It is as if they make you want to feel that you have got your money's worth after paying those high prices. But still I will always look forward to the short piece. After all even if the piece is not your cup of tea, you can be assured that it will soon be all over. And if it's great you will be yearning for more. Neither is a bad thing to be feeling leaving the theatre.